Sharing on a social network has become one of the main ways in which people communicate what they like and dislike to their groups of friends and family. Social networking sites offer the opportunity to quickly and easily share products, advertisements, news, thoughts, and opinions without any difficulty. This makes social media a valuable method of advertising. If an advertisement is well done, it creates a word-of-mouth scenario where the advertisement is shared between people, seeming to come from a trusted friend, colleague, or family member, rather than from the business or advertising company itself. This creates an atmosphere of trust, encouraging more people to follow the advertisement than almost any other method. When it comes to social media marketing, the advertising is earned rather than paid for. Once an ad is created and placed on a social media network, it relies on people sharing it in order for it to be seen. If the advertisement isn’t eye-catching and attention grabbing, it won’t go anywhere because it won’t have earned any right to go anywhere. However, if it is well done and catches the attention of the people who see it, it can go to millions in minutes because sharing the advertisement requires a few clicks of a mouse. In this way, the views of the advertisement are earned by the advertisement itself, rather than being paid for. As unfair as it may seem, it’s extremely difficult to trust any kind of promotion that has paid to earn its place. Billboards, banner ads, even advertisements on the sides of buses all come with that little bit of doubt, because those advertisements come directly from a company trying to sell a product. It’s not a scenario that breeds automatic trust. However, with social media marketing, advertisements can be tailor fit to a company’s specific needs, while still gaining the benefit of word-of-mouth advertising. The best advertisements are the ones that reach potential customers through friends and family people they trust. Social Media Marketing offers that opportunity, as well as allowing all the information contained in an advertisement to reach potential customers. A lot of advertisements make products sound good. But there is always that thought of, ‘is it too good to be true?’ in the back of potential customer’s minds. An advertisement that is seen from a trusted source is a more effective promotion because it eliminates that thought almost entirely. 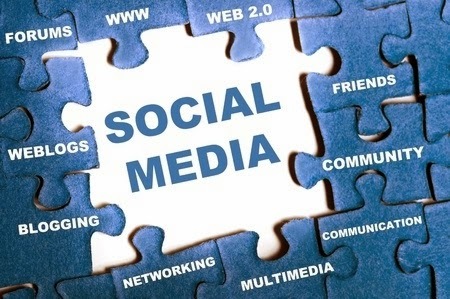 There are many, many different social networks that can be found and used for marketing. As such, there is a social networking site that can suit every company’s marketing needs. Due to the widespread influence of social networking sites, and the added benefit of person to person advertising, learning to navigate marketing on a social network is an almost vital part of having a business in today’s world. Social networks provide a unique style of marketing that comes both directly from a company and also from a trusted source, adding a lot of weight to the advertisements themselves. Social Network Marketing is an effective form of internet marketing, encouraging potential customers to become actual customers.